The weather in this beautiful city is amazing. Often refered to as the “City of Eternal Spring” due in large part to the consistent sunshine, subtropical climate and of course two fairly long rainy seasons. The talk of the town currently, however is the persistent and intense thunderstorms we have been having the last few weeks. Being born and raised in the ridiculously dry state of Colorado, it is absolutely amazing how much rain can come down in a matter of hours. According to all the people I know here, this has been and will continue to be an exceptionally long and heavy rainy season. According to my internet research we can thank﻿ La Nina for that. 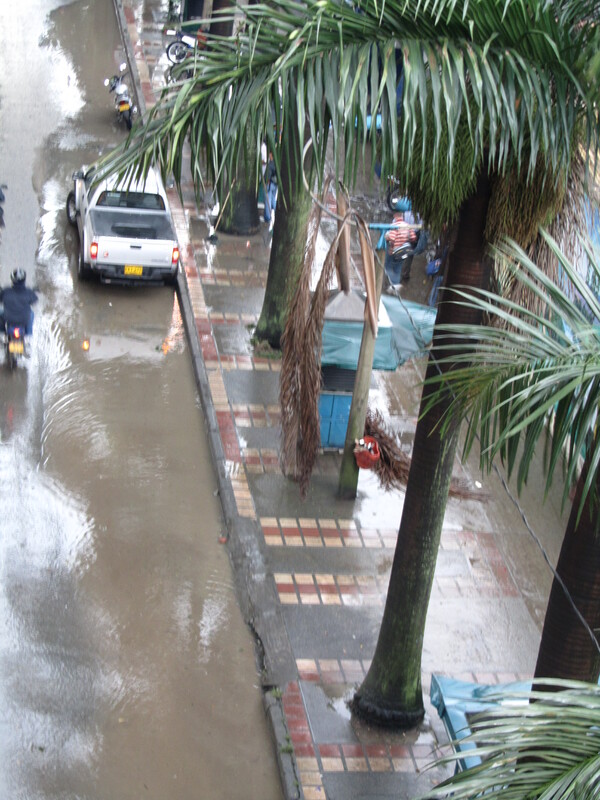 The geographical layout of Medellin is such that the accumulation of rain like this can be quite devastating. Medellin sits in ﻿﻿﻿﻿﻿Aburra Valley in the Andes Mountains. Therefore as the city has grown…. it has had nowhere to go but up. The lower half of the mountains on all side are covered with homes. Obviously this steep terrain leaves people in danger of mud slides as the water rushes down the VERY steep roads. Yesterday on the bus, the rains were so intense that one of the roads on our usual route was closed. We thus had to whip a U-turn (at a very high velocity mind you) and enter, what was to me totally foreign terrain. That is actually kind of a frightening experience when you have absolutely no idea about the layout of a city (and add in my, at best, embarrassing sense of direction) So in this case, what is there to do but get comfortable in your seat (as comfortable as you can get when you literally are in the top 98% height wise in a country… and don’t actually fit in the seats) and hope that it all works out for the best. 45 minutes later we arrived at my stop, coming from the opposite direction. Good stuff. And I was on the bus just long enough for the storm to pass…. sun shining greeting me as I stepped off the bus and walked to the metro. Things are FLYING with the kiddos at the different institutions. 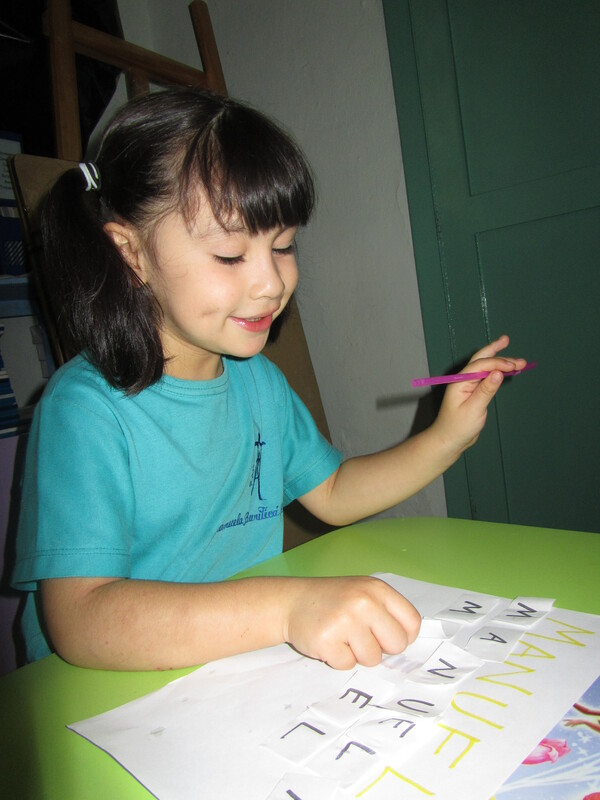 The developmental preschool at PAN is only in session until Dec 15th at which time they will go on vacation, so I have been spending a lot of time there. I have been harnessing my inner developmental therapist in working with these kids. Very few of them have specific physical therapy needs, but many are globally delayed. Most of these kids have lived incredibly unpredictable lives; not a lot of nurturing or stability. So I have really been doing my best to take a holistic approach to working with this group. The goal in the next week is to present the parents and teachers with packets of activities to begin to address the gambit of impairments these kids have: sensory issues, oral motor, fine motor, gross motor, etc. The goal of course being to help them participate in school and home in a way that is appropriate for their age. The demands of the school day are a major struggle for these kids… they are so unregulated that learning is nearly impossible. But they are thriving in the one-on-one sessions with me. It is really cool to start to figure them out and see them succeed. 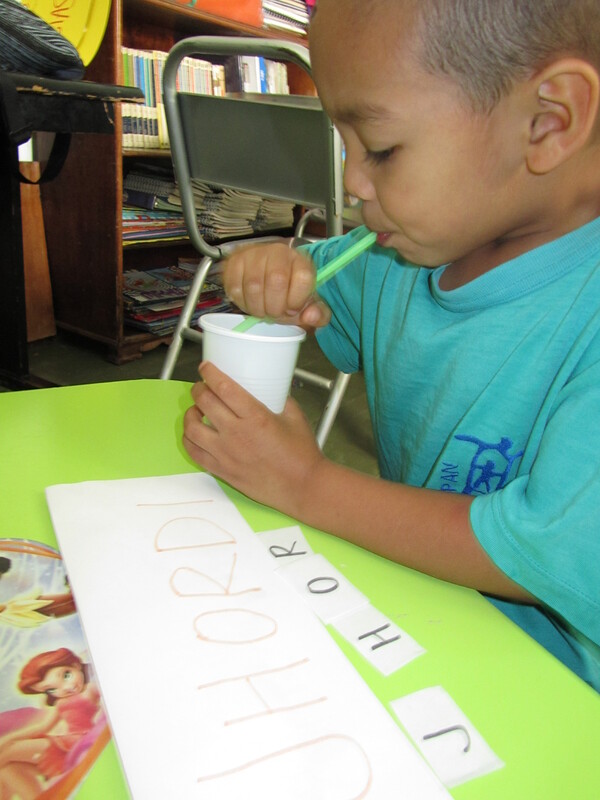 A few pictures below of an oral motor activity we did with straws… helping them begin to recognize the letters in their name. They LOVED it! I think I will leave it at that for now. Many other activities and projects in the works, but more on that later.